Various applications make the smart phone different from the traditional non-smart phones. And one of the reasons why so many people are addicted to playing smart phones and even ignore the surroundings is that the diverse applications in the device. Communication apps can enable the user to contact with others and share happiness and sorrow with friends. Actually, with the development of smart phones, it is a new trend to keep touch with friends on the communication service instead of face to face communication. The media players provide a large quantity of movies, TVs, music or broadcastings to people and everyone can find what they like. Playing games on Android phones is also a pleasant and wonderful time for many people. There are so many applications with different functions that I cannot list all of them. Then here comes our problem - how to manage all the applications on your Android phone? - The software enables you to manage applications as free as you want. You can uninstall or install many applications with just one click. 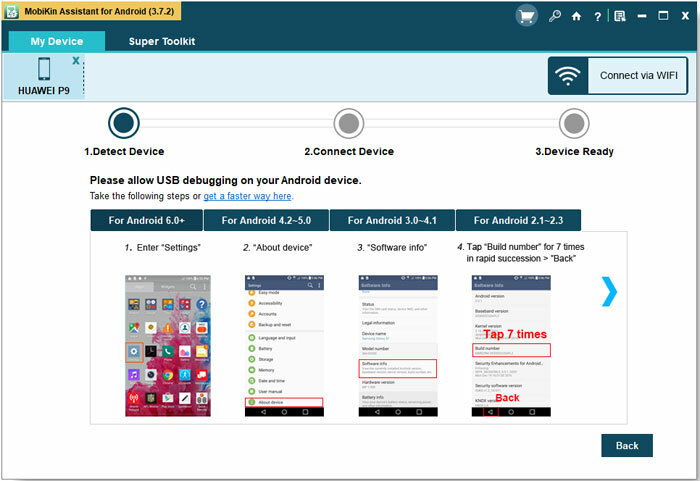 - You are also able to sync all the files including contacts, SMS messages, videos, photos and books on your Android phone to PC. 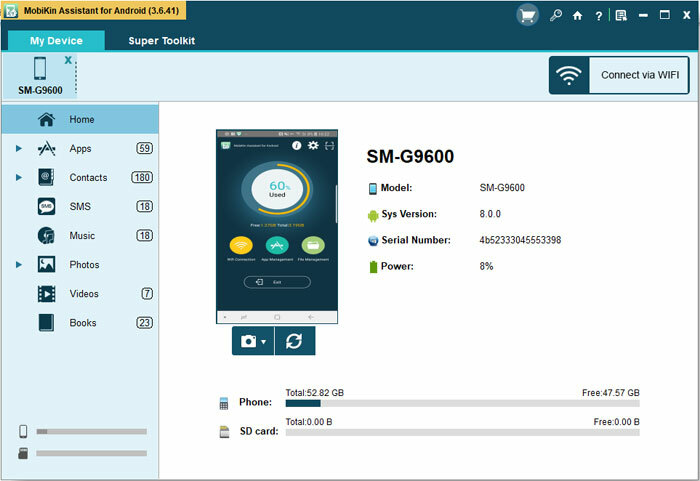 - The software was designed for Android users and it can support all Android devices such as Sony, Samsung, HTC, LG, Huawei, and ZTE, etc with high compatibility. Besides, it can support different generations of Android operating system from Android 2.0 to Android 4.2. - The software is totally clean without any spyware, adware or other malware. Now you can download the free trial version to have a try! Click on the USB debugging opened button and click Next to install the USB driver on computer. Step 2. Detect and Scan Files. 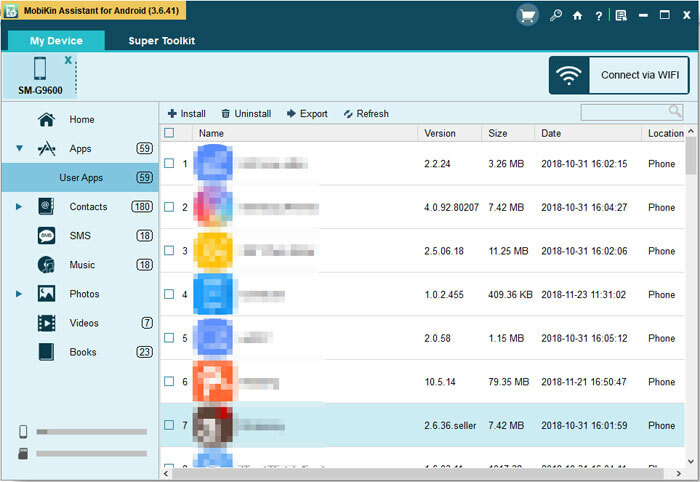 After that, the program will detect the connected Android phone and you will see an interface with the details and parameters of the Android phone on the right panel and the a list of categories on the left panel. Click on the Apps option and then the User Apps on the left panel to preview all the applications that you installed on your Android phone. Mark the wanted applications on right panel and then you can click on Uninstall button on the top panel to uninstall all the marked applications at once or Export button to transfer the marked applications to computer. If you want to install applications, you can also click on the Install option. Download the software and you can also transfer other files between Android phones and computers.